I know that we at TMN have already done a review of the first version of the Flyhawk Ft-17 kit in 72nd but this one has the cast turret and I have done my review just a little different. 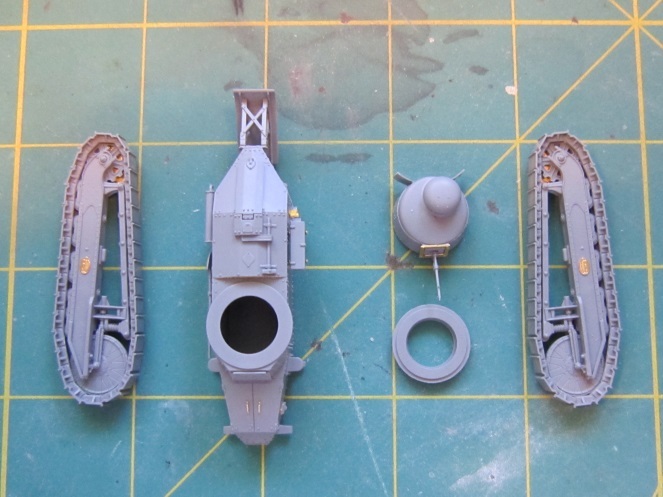 Firstly, I started by comparing a sprue from an Airfix 1/72 scale WWI era MK IV tank with the sprue from Flyhawk so you can see the difference in the quality of the castings. In this simple comparison you can see the Flyhawk kits give you two tanks in the box, and I have made each of these a different way. One has been done with all the plastic parts and the other one has had all the photo-etched parts added. I found the instructions very easy to follow and make it easy to work out which version you wish to do. 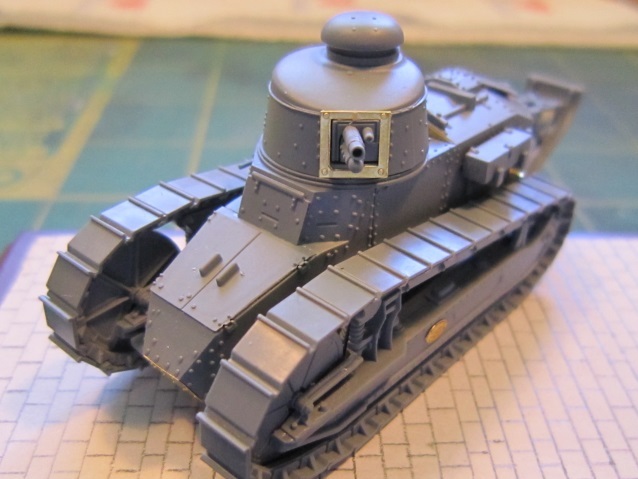 Eight simple steps are clearly laid out and it makes what you might think to be a dauntingly fiddly build something quite simple, and even simpler on the second build! All the plans for this kit are well printed and very straight forward. The options for the different types are very clear and leave you in no doubt as to what you need for each one. 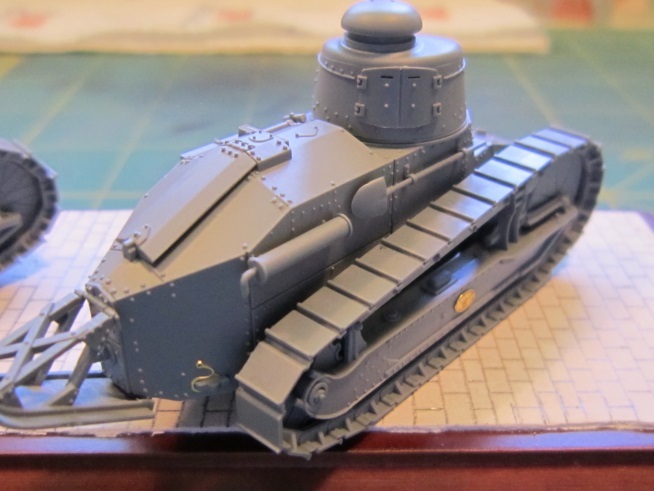 The only little nit-pick for me is they don’t give you the colour patterns for the right hand side of the tank on any of the versions you do, so a little detective work may be needed if you want them to be spot on with the camo patterns. The six markings are represented with the help of this little decal sheet. You can see just how small these are compared to a British 1 pence coin. This is a full picture of the main sprues in the kit and as you will see the detail is amazing. However some care must be taken when removing parts from them. The kit comes with two times everything of course. 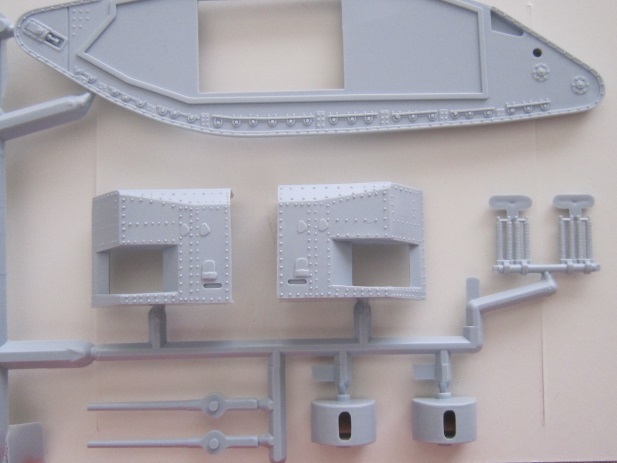 2x sprues with the main balance of parts, two hulls, two floor plans and two rear skids but FOUR tracks, 4x main front wheels and 4x turrets. All the pictures below show you the rest of the parts that make up this kit. Which with all kits come in separate plastic (tiny) bags. Firstly the hulls from the front and rear. And next to a ruler so you can see just how tiny these are.. The rivited turrets are here shown front and back. 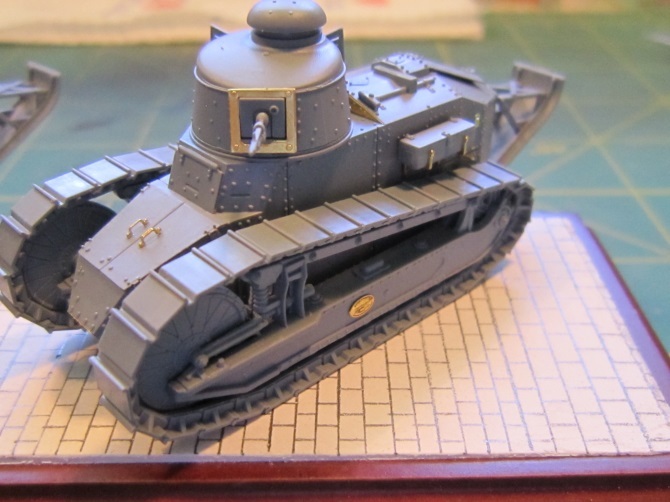 Both smaller and larger rivets and a back door hatch that can be posed open or closed - there is no interior other than the gun though so you had better fill it with figure if you want to show it open. The rear skis are next up - riveted detail and plastic representing steel is so small compared to the plastic casting sprues they are attached to. 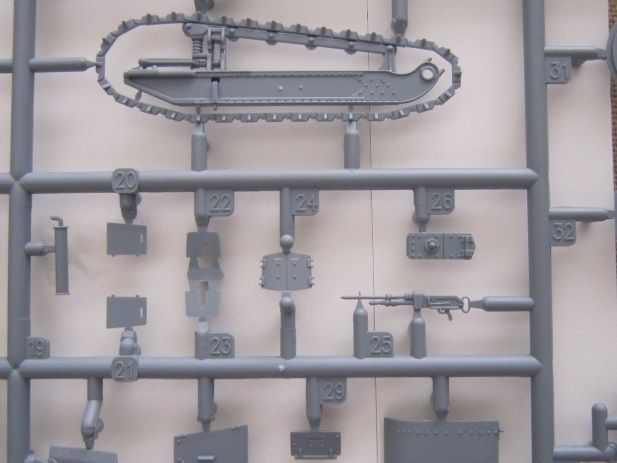 This sprue (x2) houses the pivot mount for the machine gun or the small cannon in the turret. Once together it sandwiches it all in there and you can still pivot the main weapon. The final drive and running gear is seen well detailed and the wooden slots ont he large front wheels is a little heavy but still ok in this scale. The tracks are a simple affair that thank-goodness do not need any more than one cementing action to set them up ready to attach to the hull. 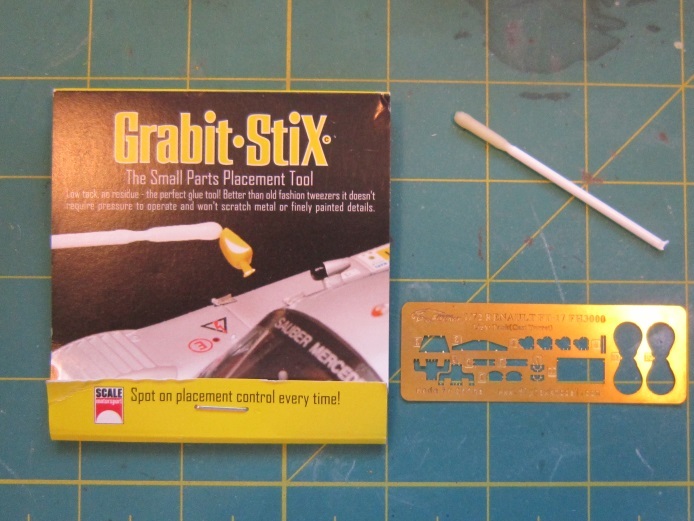 Easy to use and quick they are a real improvement to the Airfix Mk.IV method we saw earlier. The photo-etched set for this kit is beautifully done and goes a long way to making this a fantastic little kit. The parts come off the frets with ease but care and a steady hand are a must. 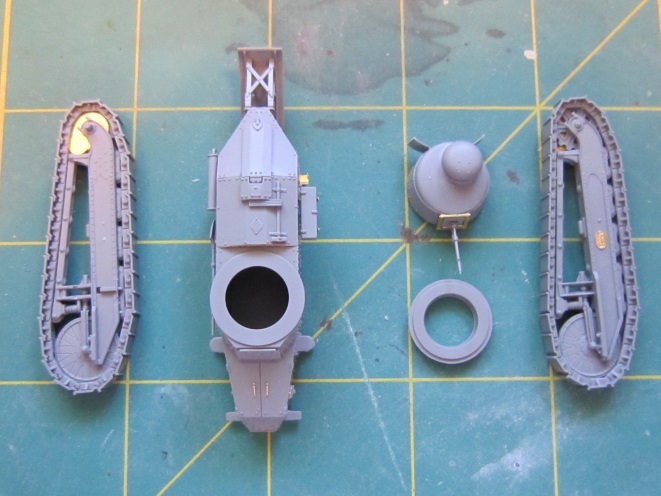 There was only minimal flash to take off the parts and care does need to be taken when removing parts form the sprue. I do recommend a razor saw if you have one and be really careful if you chose to do the number 4 version as the machine gun is very hard to remove without breaking the handle and again the detail on this part is stunning. And here they both are built up together.. These kits have been a lot of fun to do and the level of detail is just stunning. If you want to build 1/72nd scale kits this is a must. Well when I was asked to do a review of this 1/72 scale Flyhawk kit I thought it was taking me out of my comfort zone. 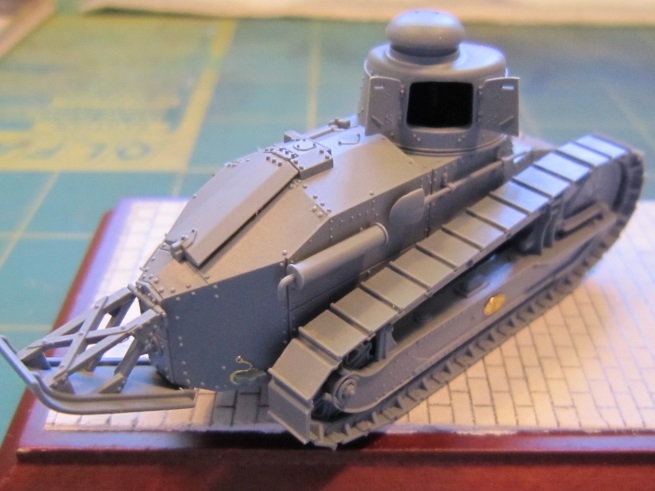 With this tiny kit in such a small scale and delicate PE parts to my surprise it has been one of the easiest and well-constructed models I have ever done. In short, WOW! Well done Flyhawk! - I cannot wait to see what they come up with next. It will definitely be on my shopping list. Stay tuned I will get them painted.